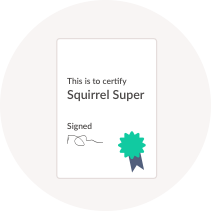 With a Squirrel SMSF you can invest in cryptocurrencies. 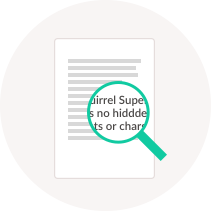 Switching to a Squirrel SMSF gives you complete financial freedom for how your super is invested. For many of our customers that means diversifying their portfolio by investing in cryptocurrencies. Through your SMSF, you can use your super to invest in digital assets and grow your wealth for retirement – but be warned, this is a highly risky investment where you could end up losing everything. As an entirely new asset class and with huge volatility in price, cryptocurrencies are a high risk investment that could either result in huge returns or major losses. If you are interested in cryptocurrencies and see potential for their adoption in the future, then you have the freedom to invest in many of these digital assets through your SMSF. 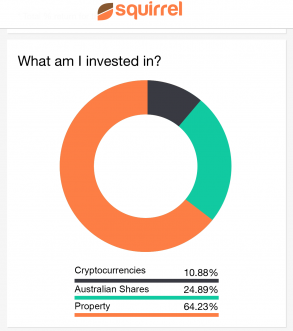 There is currently limited information from the ATO on how they govern cryptocurrencies as an asset class. It’s therefore super important that you are on top of all your accounts when it comes to audit time. Our team have experience in helping our customers with crypto investments through the audit process and are always on hand to help you when you need us. See exactly how your investments are performing, simply by logging into your account. Accessible wherever and whenever you want it, you can now track your entire portfolio at the tap of a finger. As well as experience helping our crypto investing clients through the audit process, we also have a number of team members that are well versed in cryptos as they invest in them personally. How you invest is up to you, but we’re on hand to make sure you’re compliant for your SMSF’s annual audit. You also have unlimited telephone and email support with our Squirrel Support team. Many of our new customers are choosing to invest in cryptocurrencies. Here’s why. Just as the internet was a revolution in the late 90s and early 00s , cryptocurrencies and blockchain technology is pioneering the way in which we share our information and money across the world. Many argue that this is a once in a lifetime opportunity to invest in the future. There’s no doubt that cryptocurrencies are in a bubble, but investors are utilising the volatility to their advantage by scoring huge percentage gains for their portfolios as some of their digital assets dramatically inflate in value. There will only ever be 21m Bitcoin in circulation, making it deflationary as opposed to the inflationary value of real ‘fiat’ money. Over time, this could lead to a huge burst in demand as supply is limited. Investing in cryptocurrencies such as Bitcoin is highly risky. Here are some important things to consider. The exchange platforms on which you buy and sell virtual currencies are generally not regulated, which means that if the platform fails or is hacked, you are not protected and have no statutory recourse. The cryptocurrency market looks very similar to the Dot Com boom of the early 00s. Buyer Beware!